If you are answering 'yes' to some of these questions, then it is likely that a gambling problem exists. For friendly and helpful advice from trained counsellors call the National Gambling Helpline on 0800 8020 133. The helpline operates between 8am and midnight, 7 days a week, 365 days a year. Calls outside of these hours will be taken by a message taking service. If you wish to give yourself some time to think we offer you the option to time out for the following durations: 24 hours, one week, one month or for a period up to six weeks. To time out please send an email to our ELM (CFP) at info@raffleplayer.com with “Charity Name” in the title, and include the period you wish to time out from with your full name and address. Alternatively you can call our raffle helpline on 01628 201283. Software is available to prevent individual computers from accessing gambling internet sites. Please see www.gamblock.com or www.betfilter.com for further information. To self-exclude please send an email to our ELM (CFP) at info@raffleplayer.com with ‘self-exclusion’ in the title, and include your full name and address. Alternatively you can call our raffle helpline on 01628 201283, or complete our online self-exclusion form. We shall mark your record accordingly within 2 working days of receipt of your self-exclusion notification. We will hold your details on a register to ensure that you aren't entered into any future draws and that we don't send you any promotional material. If you have purchased chances/tickets in our raffle, and subsequently send us a self-exclusion notification which is received prior to the raffle close date, we will refund your payment and remove you from the draw. The minimum period of exclusion is 6 months. 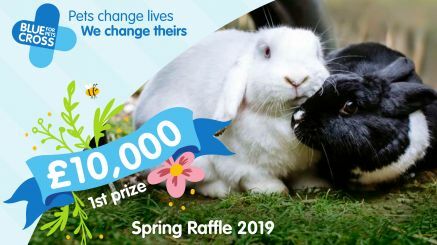 If you would like to enter our raffles and lotteries again after this period you can call our helpline on 01628 201283.